Zhukovsky Airport, near Moscow, has reported that its cargo terminal with domestic cargo processing facilities is now ready for operation. “We’ve got one cargo terminal in place already, two weeks ago we received the full package of approvals for operation. It will handle domestic cargo flights. These facilities will be enough for us until the end of the next year. 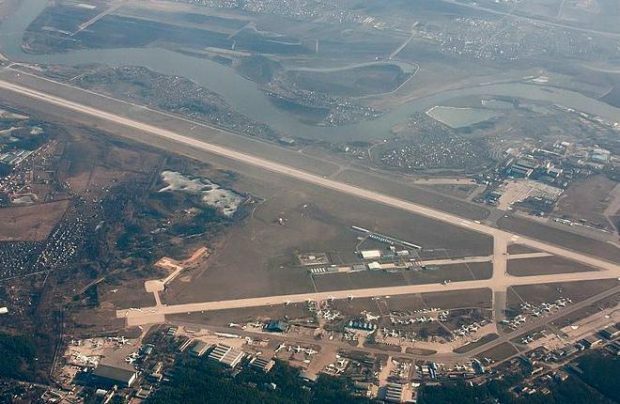 We did not initiate construction from scratch, it was just an upgrade,” Evgeny Solodilin, first deputy director of Ramport Aero, the airport’s managing company, told Russian Aviation Insider. He explained that the existing terminal with the total area of 5,000 square meters has been modernized. Earlier this year Zhukovsky (ZIA) announced an agreement with a start-up cargo airline Sky Gates Airlines. This Russian airline started operations last month from Domodedovo, but intends to make Zhukovsky its base airport. Another domestic cargo carrier, Aviastar-TU is expected to start flying from Zhukovsky in December. Alrosa airline may also launch flights from the airport as early as November. The final date for the launch of operations from the cargo terminal has not been identified yet. “There are agreements in place. Today (November 1 – Russian Aviation Insider) the managers met to discuss the rates. I can’t give you the exact date right now, but it will be in the nearest term,” Solodilin said. “This terminal is not intended for international flights. We’ll have a dedicated large terminal, the design work for which will start this year,” the executive explained. Construction of the international terminal with the floor area of 14,000 square meters is planned for 2017-2018. A joint venture with Master International General Trading is being organized for the purpose.